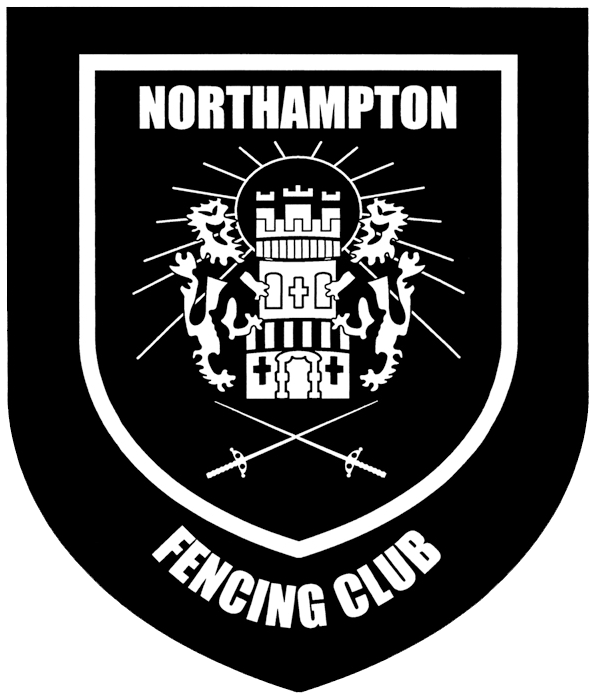 Northampton Fencing Club runs every Thursday between 7 pm and 10 pm. The Juniors fence between 7 pm and 8:30 pm. When you hear the term 'fencing', do you think of early morning duels with swords and pistols? Or maybe you think of films and TV shows like Game Of Thrones, The Musketeers, Star Wars or The Hobbit? In practice, the sport of Fencing isn't exactly like any of these things, but it's probably the closest you're likely to get! What it is, though, is an amazing sport that caters for almost any age and fitness level. It will teach you self-discipline, situational awareness and hone your reflexes like you wouldn't believe! Best of all, it's a brilliant way to keep fit - and it's great fun! Northampton Fencing Club runs Beginner's Courses five times a year (see the dates below). We take anyone aged 11 or over. The course is aimed at all ages and levels of fitness, and is intended to be a short introduction to foil fencing. You will be in a small group of no more than approximately 12 beginners, which at times is broken down further into pairs. You don't need any experience or specialist equipment, just loose trousers like jogging bottoms (with pockets taped or zipped up), trainers with non-marking soles and a bottle of water (it does make you sweat a bit!). The most important thing you'll need to bring is an interest in trying something new! The course runs for 8 weeks, 7pm-8pm every Thursday at The Pitsford Road Sports Centre, Moulton College, Moulton (see the Find Us page for more details). The first week is a taster session - you have a go at many of the things you will be learning, so you get a feel for what fencing is all about. There is a breakdown of the course content on our Beginners page. Simply fill in this form to reserve a place on an upcoming course. Places are limited, so don't delay! If a couple of you are coming along, please make sure you book separately. The 8-week course is only £60 for adults and £40 for full-time students, over 65’s and anyone on Job Seeker allowance (proof of this is required). We understand that you might try fencing and not enjoy it, so we don't ask for payment until the end of the first session. You get to experience the taster, and if you decide it's not for you, we just go our separate ways, no questions asked, no payment required. If you decide you love it and want to do the rest of the course, simply pay the Treasurer at the end of the first session, fill in a membership form and turn up for another seven weeks. At the end you will be a competent, safe fencer with a basic understanding of the sport. Once you've completed the course, you are qualified to join in with the other fencers. The experienced fencers and coaches will be pleased to help you improve your skills, and you can try your hand at the other weapons (epee and sabre). You'll also get a significant discount on your first six month's membership, to encourage you to see what fencing in the club proper feels like.